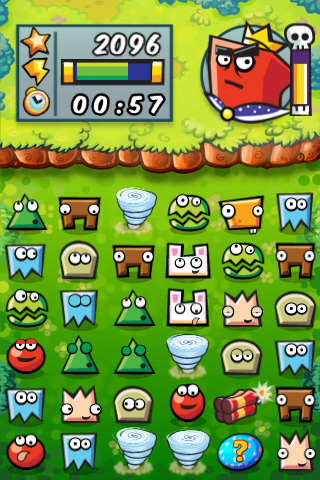 CubeHead, a puzzle game with addictive fast paced action where fast thinking and slick sliding are the only ways to survive. 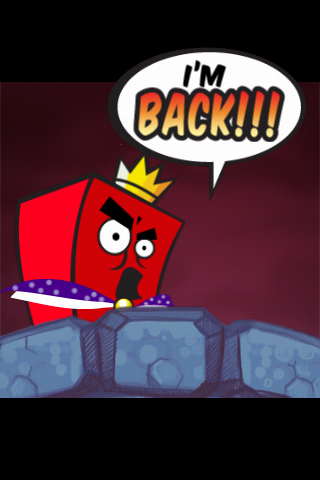 After being exiled many years ago by his unhappy subjects, the wily king CubeHead has returned and wants to recover his throne. 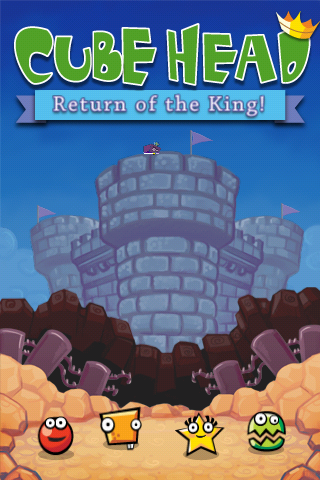 You must help the Cubies fight back and protect the Kingdom before it is too late! 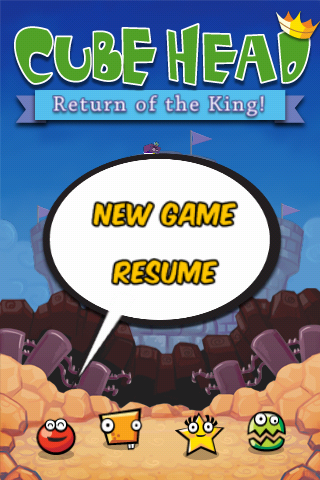 Beware though… you play against the clock and have a limited amount of energy. 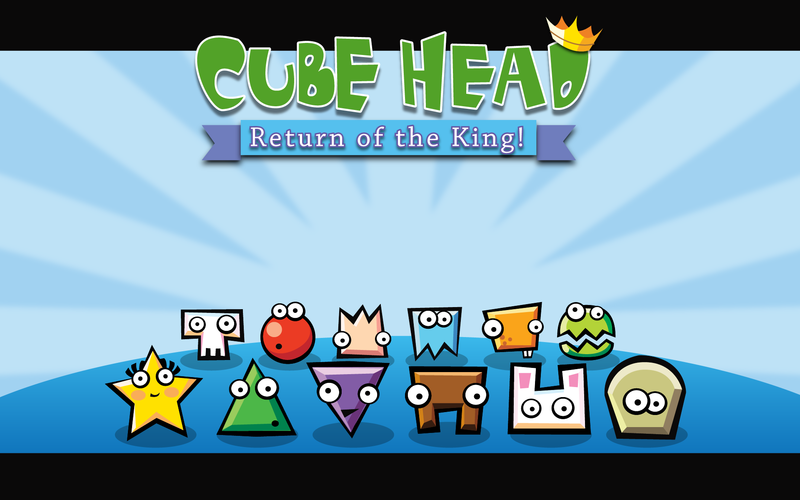 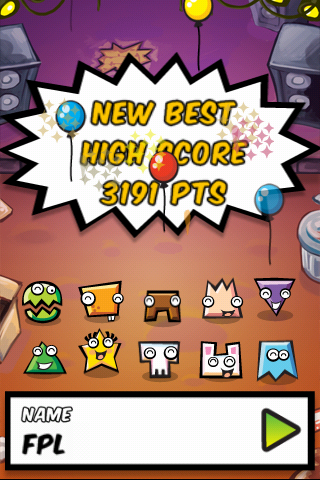 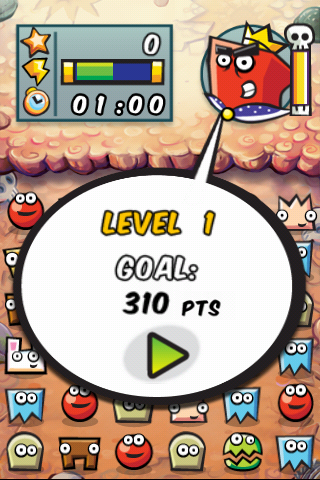 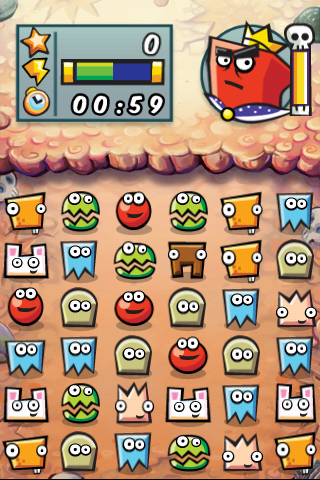 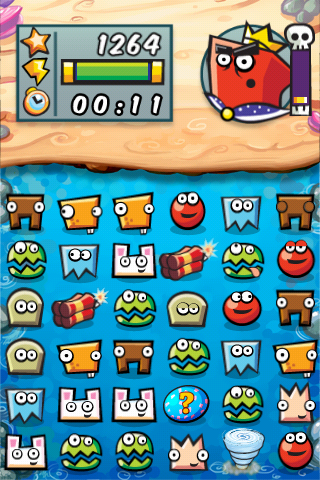 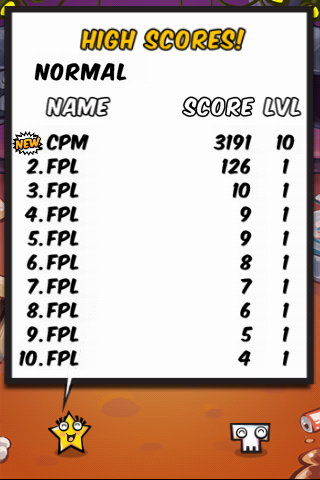 If you can match Cubies in lines or columns of 3 or more you can score points and defeat king CubeHead. 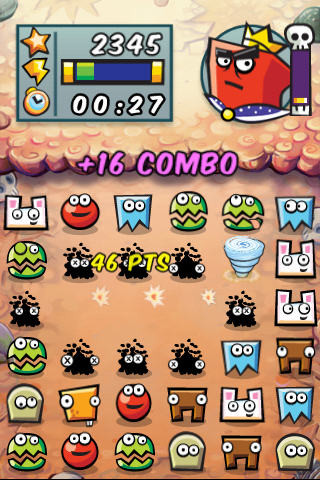 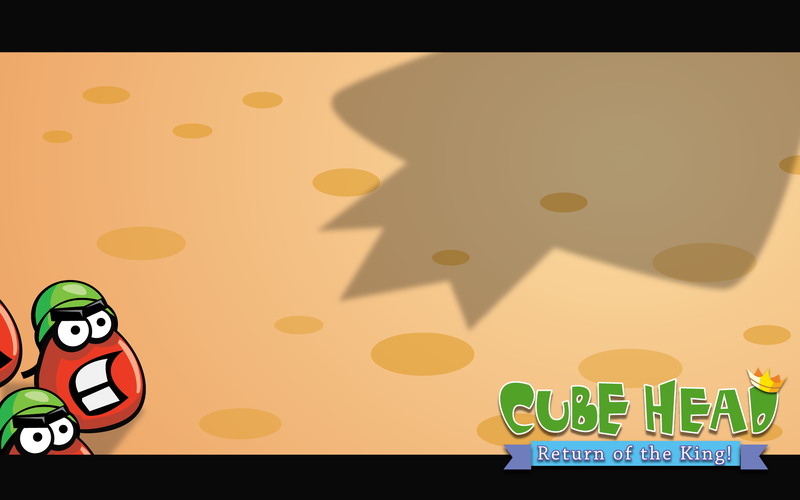 You will encounter funny little animated Cubies, bombs, hidden prizes and booby traps, as you play against time limits! 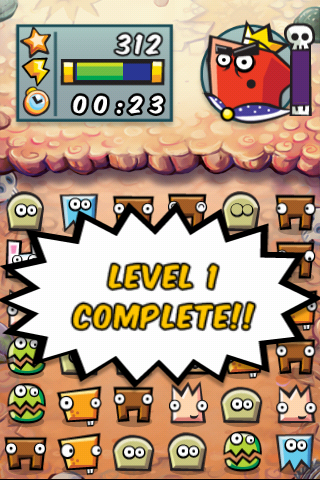 But you must also be careful to conserve your energy and avoid unnecessary moves. 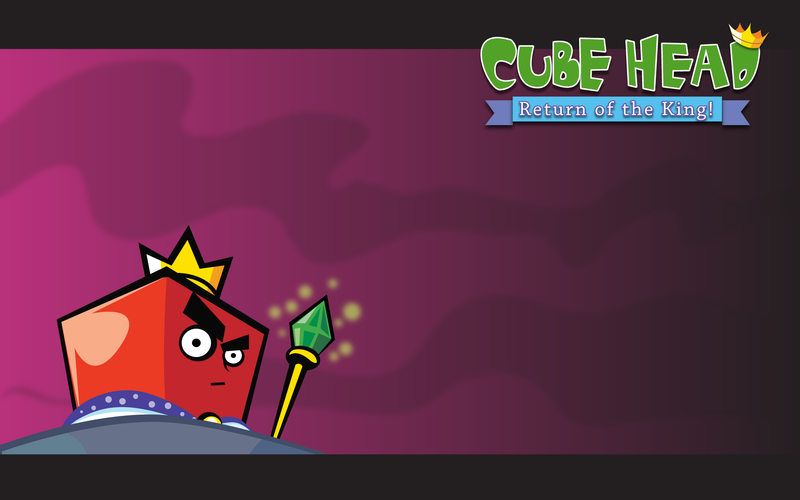 Expect to develop an uncanny ability to speedily maneuver tiles... CubeHead challenges your mind! 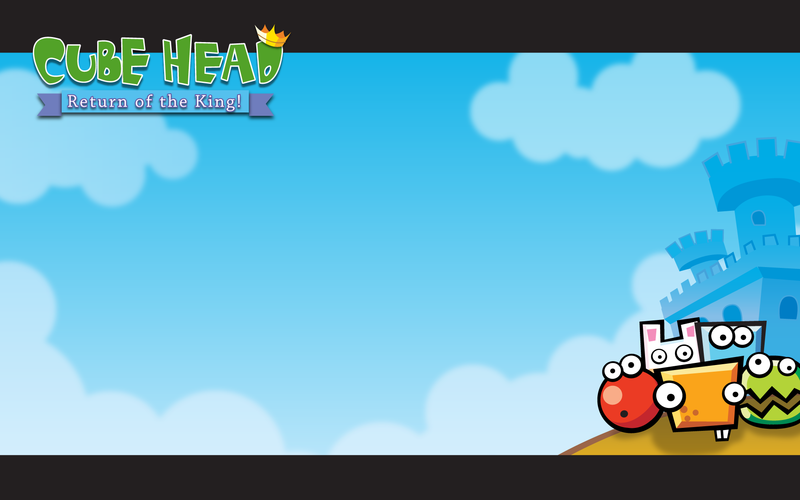 CubeHead was originally released for Palm and PocketPC, where it was very successful and developed a large player base, Fair Play Labs brought it to the Apple iPhone and iPod Touch under a licensing agreement with White Hart Media Limited.